The lights were turned bright and directed toward the foot of the bed. I was in a rhythm of pushing, and I could see Aran’s dark hair reflected in the mirror the midwife had put at the end of the bed. The nurse was putting an oxygen mask over my face in between contractions. My doula was by my head, ready to support my head and shoulders during the next push, my mom and Beth each held one of my knees against their belly, my feet in the air. After 41 hours of labor, I was tired, but calm and excited. My baby would be here soon. The question of whether I was heading for a C-section was no longer a concern. He was definitely going to be coming out through the birth canal. 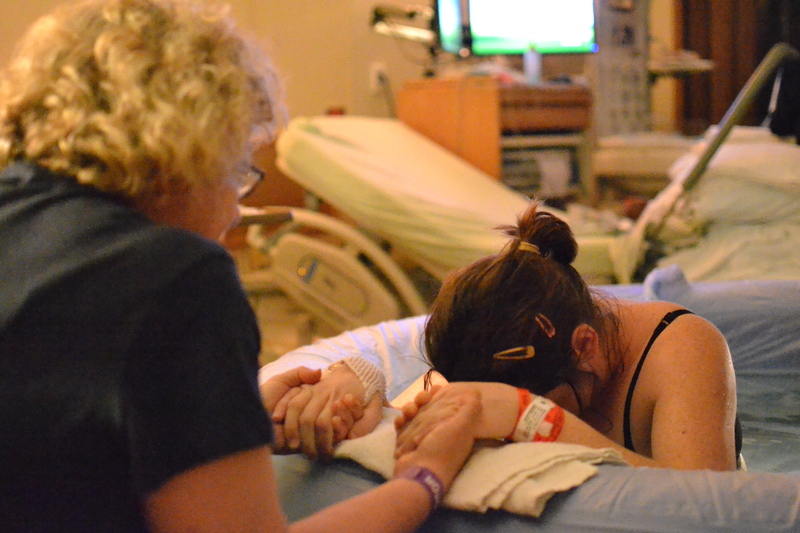 Through the numbness of the epidural, I could feel the pressure of the next contraction coming on. 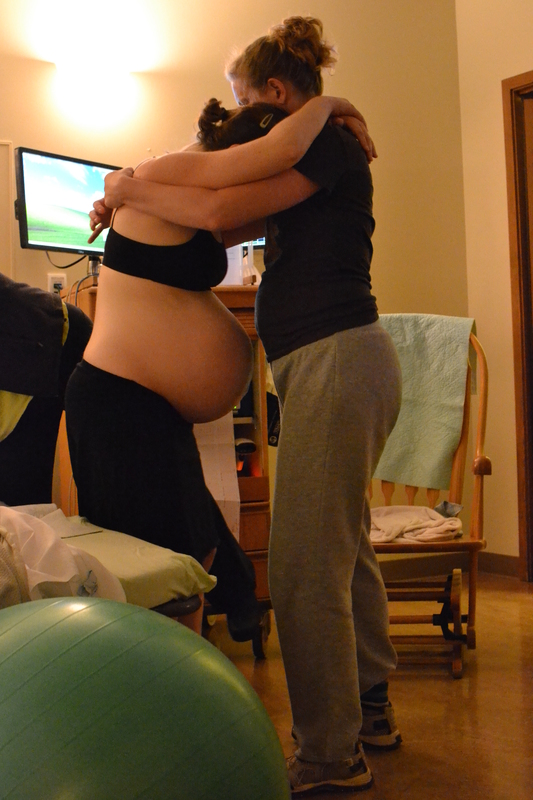 My doula coached me through a push of ten counts, and I saw in the mirror that Aran’s head had emerged fully. I took a deep breath and pushed again, screaming out like a banshee as I felt a burning, stretching sensation, then a warm, slippery whoosh of liquid and slimy baby, and he was out. Finally the pediatrician held Aran up above the yellow bodies around him for me to get a glimpse. My mom, my doula, and me all let out a joyful squeal, a sigh of relief, and a gasp of breathless wonder to finally see him from head to toe. Somewhere in the same span of time the OB got there and the midwife came up to the head of the bed. 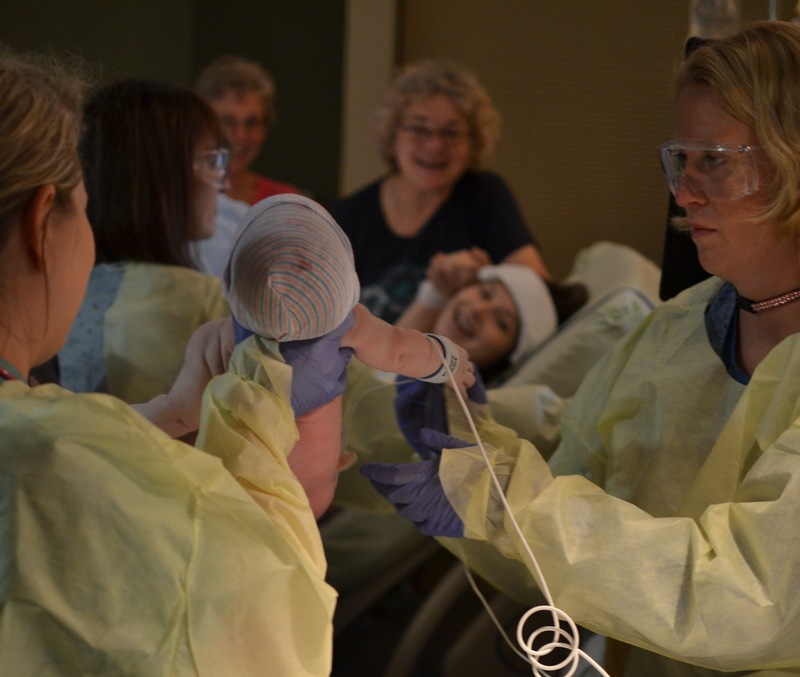 “We need to get the placenta out as fast as we can because you’re bleeding quite a bit,” she said . 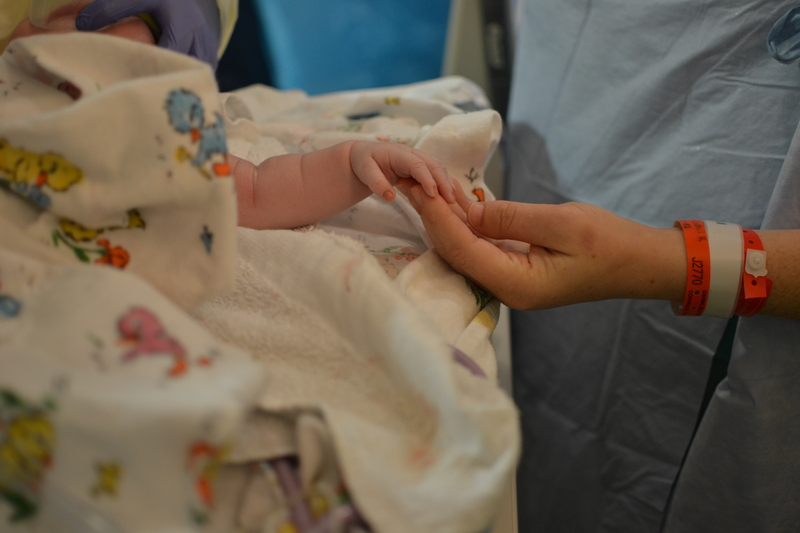 While Dr. Wagner was stitching me up, the pediatricians were getting Aran ready for transport to the NICU. 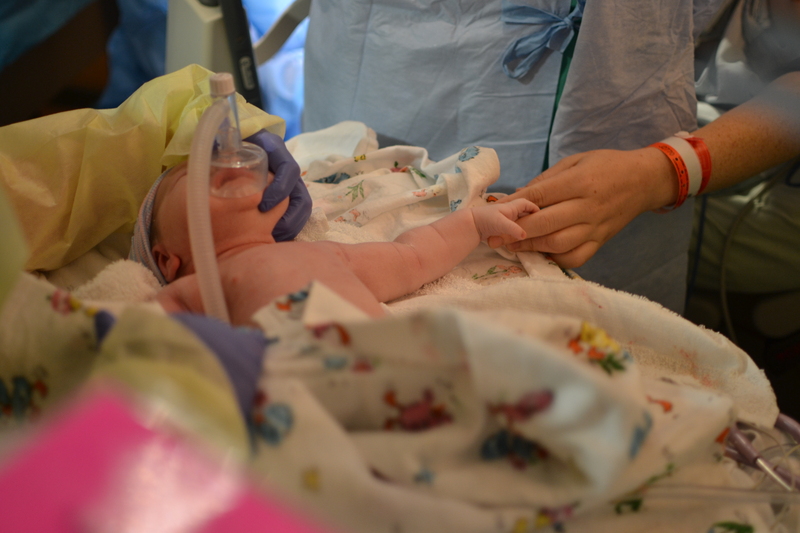 His lungs were having trouble fully opening, and he needed more monitoring and assistance. As they were leaving, they wheeled him to my bed and finally, FINALLY, we touched. Beth stayed with Aran in the NICU while my mom and doula stayed with me, and our wonderful friend and photographer went back and forth, bringing news from the other room, and documenting Aran’s first moments, which he spent in Beth’s constant and reassuring presence while he was poked and prodded and wired to more than one machine. After the baby crew left the delivery room, Dr. Wagner was finishing up the repair. I started feeling VERY tired, and my mom noticed something was wrong. She asked me how I was feeling, and all I could say was “I feel tired,” but what I was really feeling was a sense of doom, that I had to stay awake because if I fell asleep I wouldn’t be waking up again. My blood pressure went down to 60/30, I blacked out, and they opened my IV lines to raise my blood pressure back up. After that, they suggested I get a blood transfusion. I agreed that that sounded like an excellent idea. Six hours later, I finally got to hold my sweet bundle in my arms. He sniffed and licked my breast, latched on and fell asleep. I cried with relief that we had made it through and were finally, perfectly, together.